How about some Mojo Monday on a Saturday!!! the outcome is a couple of great cards!!! 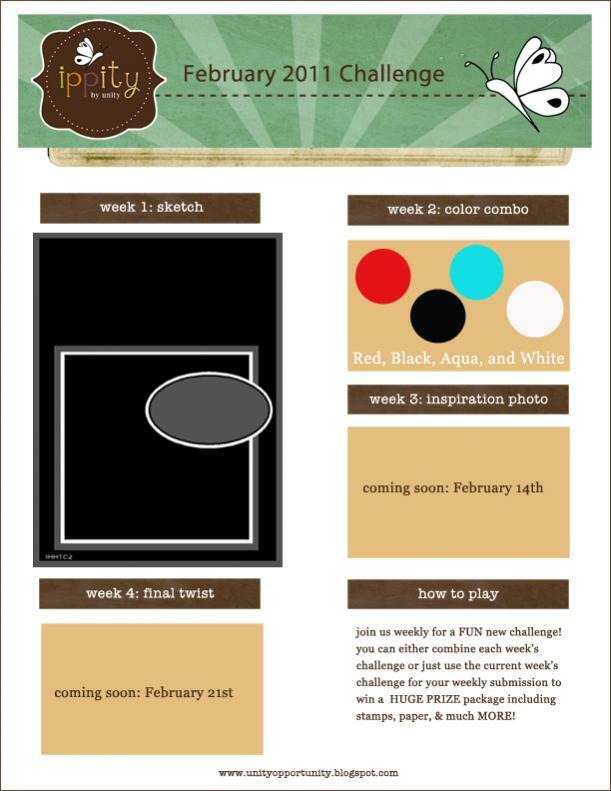 With the Ippity Color Challenge for the week!! and this is what I came up with!! because it gave me an excuse to make another one!! This card is really easy, a couple of cuts, a quick paper piercing, some stamping, gel pen work and you can put it all together!! Remember that other one I was talking about... well here it is! 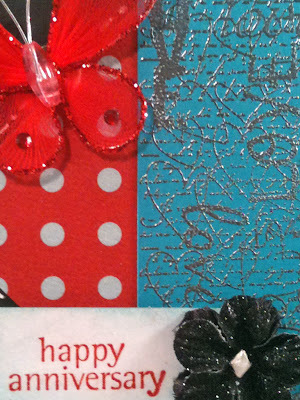 AND I am Really HAPPY with this card!! 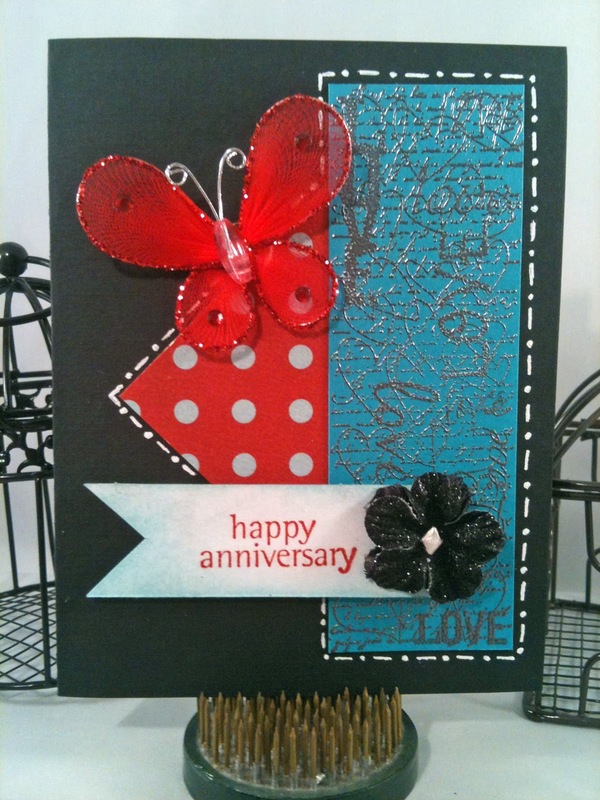 on the aqua I stamped and heat embossed this great background. I picked up that butterfly at Michaels today and it works GREAT!! OMG!!! I am posting 2 days in a row!!! I can't believe it! I am just loving this layout so I made 2 cards using it so far... who knows there may be more in my future but for now here are the ones I have made. This card was easy and took less than 1/2 hour!! 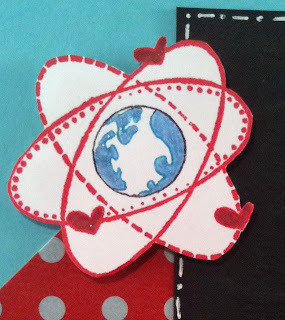 I decided to use up some of the same paper since it was sitting right there. Again, very easy card that took no time at all! So there you have it!! I hope you like the cards and will join us in the Ippity Challenges! If you need some Ippity just check out my stamps for sale! Posted by Jennine Chambers 11 inspiring thoughts! How about some Mojo Monday on a Sunday! Here is my second post for today!! Yep Second!!! I think this is a first!! Anyway I have my card for the Mojo Monday challenge!! 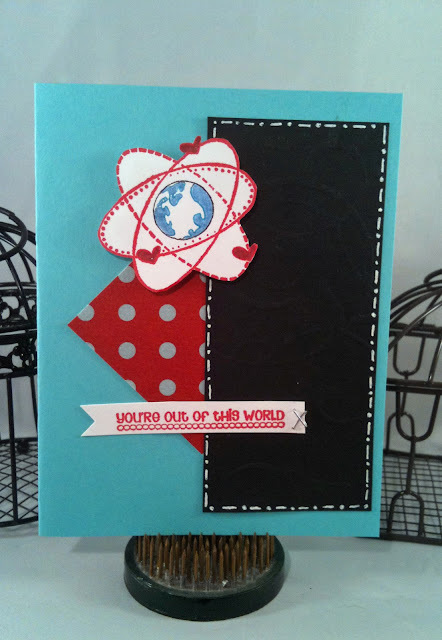 I decided to go with the round so I could use my Grand Spellbinder dies. I am so loving this card! I wasn't so sure about this sketch but am so happy with it now that I have completed it. Life is too short to match socks! Make sure to come back tomorrow as I am participating in the Ippity Hip Hop!! 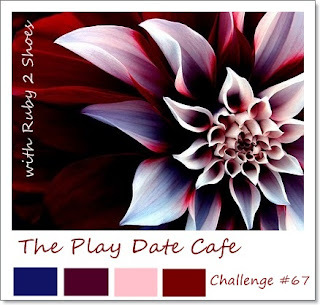 Play Date Cafe Challenge... and a challenge it was! So I have made a couple of cards for the Play Date Cafe Challenges but never managed to post them. So typical of me. I am not making that mistake this time because this color combo put me into a tail spin. I ended up creating 2 things, a gift bag and a card (a few days later). Here is the entire bag. After a couple of days and a trip to the local craft store I decided to try again. I get this great stamp that I just had to try out. Again the colors threw me for a loop. I had this great heart and the white card and just didn't know what to do next. I happened to have my Unity stamp set out and realized that this Lots of Love stamp was perfect so I stamped it in the bottom right corner... then I thought it would look even better as a background, so I went to town. Then I thought I really needed some more blue and I happened to pick up some copic glitter pens while I was at the craft store so I colored in all the hearts!!! So there you have it!! I hope you like! Posted by Jennine Chambers 9 inspiring thoughts!